call it Ashram, home, hostel or combination of all? This hostel is located in a small village called Jaam Doli , 10 km away from Jaipur on route to Jaipur Agra national highway NH 11. Sadhu who is disciple of Sadhvai Ritambhra ji. Sadhvi Samdarshi ji was student of engineering , has been active member of Durgavahini, women wing of RSS, but her urge for spirituality forced her to leave studies and mover her to path of sanyaas. women, children who had to leave education due to poverty got solace at her home. bedrooms, living rooms, kitchen , clean bathrooms and a mandir. 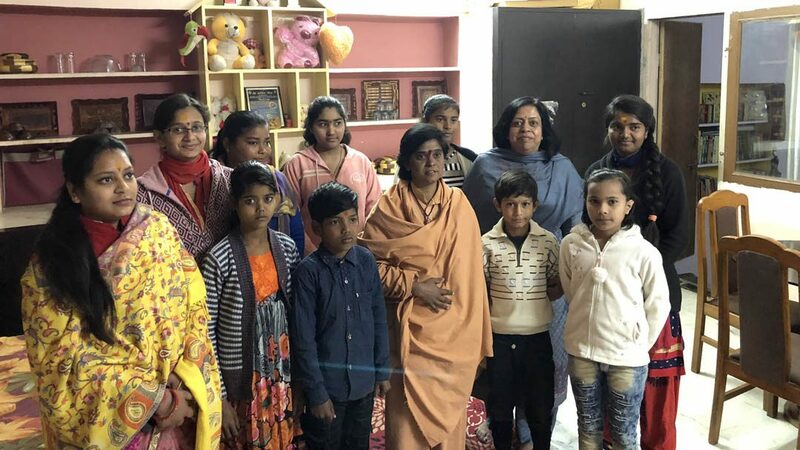 Devoted woman called mother to 16 girls/boys living in the ashram runs this asharm. These students go to near by accredited school and rest time spend at third new home. This ashram is blessed by Sadhvi ji and managed by Priyanka ji who is ex-student of the hostel she controls budget, data keeping and all day-to-day running. These girls/boys are coming from different parts of country and with different backgrounds. Sadhvi ji have provided funds to the students to restart the education. They provide nutrition to the pregnant women who are abandoned. Sadhvi ji have started one very inspiring project called “Raksha Rakhi”. This program has begun by Sadhvi ji after the death of Shaheed Hemraj. Lance Nayak Hemraj from Haryana was brutally killed by Pakistani coward troops and they did not return his head. This brave soldier was killed in 2013. In the respect of shaheed Hemraj, group of 50 sisters go to the border and tie Rakhi to their brothers protecting the nation. I was moved very much with this initiative. Now sadhvi ji wants to convert this home to bigger hostel to accommodate more girls and continue all the programs. Most of the girls settled in near by 100 miles radius once the finish their studies. These girls stay in constant touch of Ashram because they feel this place as their home. Many girls are studying technology, nursing and some are married too. Sadhavi ji personally does kanyadan of the girls from ashram.